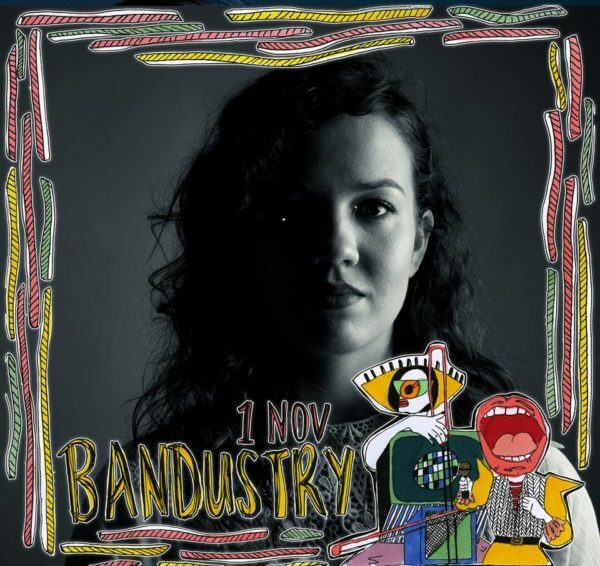 Bandustry presents a series of music industry talks in conjunction with The Good Luck Bar and Good Guy Vibes. 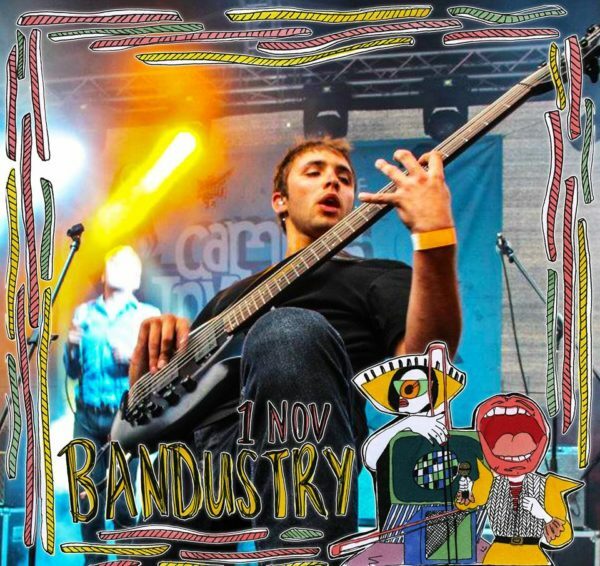 Bandustry is a local meeting for the music industry of today. Each month industry professionals and musicians will openly discuss the news and challenges of the industry. The experts will share their knowledge and all the tools necessary to build your brand and inspire a change in the live scene. Bandustry aims to analyse the state of the industry to provide perspective on what is going on and what is in store for the future. 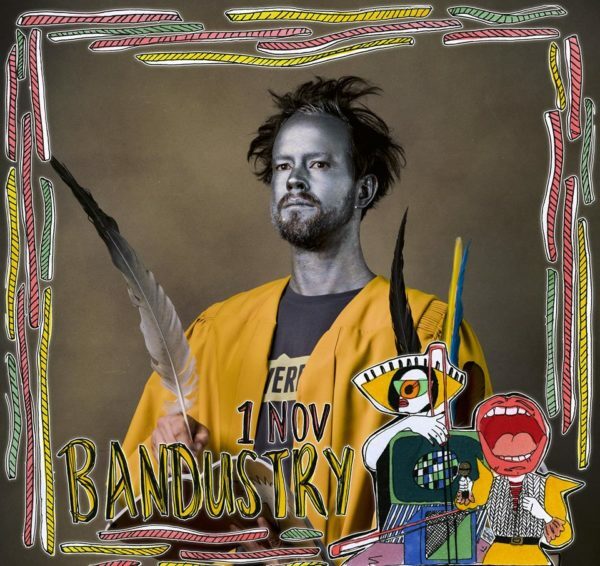 Bandustry is open to everybody who wants to get involved in the industry, musicians looking to build their brand and to connect with key figures in music. November’s event kicks off on 1 November and has a special festival focus, looking at productions and how festivals bring people together within the scene. Catherine joined 5FM as a producer in 2001, following several years in the live arena (she studied lighting, sound and stage management). She has worked with Mark Gillman, DJ Fresh and Warrick Stock (The Shady Lurker) as producer on their shows as well as being the Traffic presenter. She also had her own live show on 5FM, with a live band and live studio audience. In 2016 Catherine decided to leave 5FM and start a new adventure, freelancing as a radio and field producer. Catherine is also involved as the Station Manager, Program Manager and Presenter on a new internet radio station called The Eye. Over the years, Catherine has had an extensive interviewing track record (she has chin wagged with everyone from Piet Botha to Zachie Achmad, Charlize Theron, Pieter Dirk Uys, Pink, Arctic Monkeys, Violent Femmes, 3 Doors Down, Groove Armada, Staind, Metallica, Korn, Muse, Chris Cornell, Kaiser Chiefs, 30 Seconds To Mars, Good Charlotte, and many more. Her love of great music, both South African and International, has given her the opportunity to travel to different music festivals around South Africa and the World. Meet Gareth Wilson with his patented G-Willy smile. Gareth used to be in a touring band, Southern Gypsey Queen for more than 10 years, where they played over 200 live shows a year, and released 6 albums which sold just under 30 000 units. This lead Gareth to work at Southern Pulse, managing acts like Shadowclub, Tidal Waves, BCUC, The Black Cat Bones and more for close to two years. Since then, Gareth moved over to Hilltoplive as their booker/talent buyer, booking festivals as diverse as OppiKoppi, Drumbeat, Castle Lite Extra Cold, Hugh Masekela Heritage Concert, Oesfees, Hart van Windhoek as well as working on International Tours with the likes of Kris Kristofferson, Mumford and Sons, Chevelle and more. Gareth started a new company called Brand New Artist Solutions with Misha Loots, which has taken over the bookings for OppiKoppi, Vic Falls Carnival, Woordfees and many other festivals. He is also part of the Melos South Africa team, which is committed to bring top international acts to South Africa while taking South African bands over to New York. This is an exciting project focussed on taking South African music all over the world. Gareth also is the co-owner of The Good Luck Bar in Ferreirastown, which has been going for over two years, hosting all of South Africa’s biggest names like Fokofpolisiekar, Mango Groove, Ricky Rick and more. Jean-Louise Parker is a multi-instrumentalist who has carved herself a unique niche in the local music scene as a versatile crossover violist. She started her studies at the University of Pretoria, completing 2 years of her BMus degree, as a classical viola student. In 2008 she continued her studies at Wits University, where she graduated, majoring in jazz solo performance. Between 2009 to 2012, she toured extensively in Europe and the UK with indie-folk band Dear Reader (formerly Harris Tweed). She also features actively in the local music scene. Jean-Louise worked as an ad hoc violist for the Johannesburg Philharmonic Orchestra from 2011 to 2012. In her capacity as a session musician, she has worked with a great variety of artists including The Arrows, Prime Circle, The Parlotones, ISO, Jesse Clegg, Liquideep, Zonke, Zakes Bantwini, Jane Rademeyer, Joao Orecchia, Laura Gibson (USA), Ramona Falls (USA), Jacob Israel, Fulka, Proverb, Donald, The Motherland, Van T, Zebra & Giraffe, Hello Beautiful, LT, and the Jagermeister Brass Cartel. In 2014 she started focusing on her song writing and producing skills by forming Academie, an eclectic dream-pop band. Recent highlights include performing in Berlin, Germany, and the main stage at OppiKoppi 2017. A performing artist, composer, songwriter and arranger who sings and plays the bass (and you know it’s all about the bass). 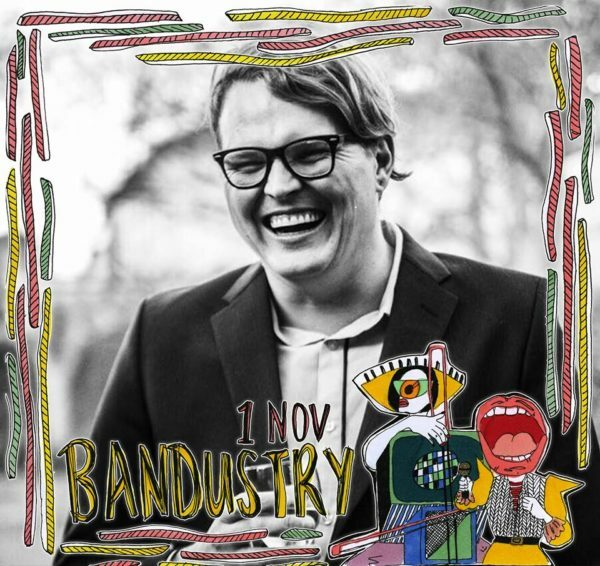 He has performed world-wide with many bands and in collaboration with artists including; Abraham Mennen, Andre Swiegers, Arno Carstens, Bark, Bonolo Nkoane, Casper J Stone, Daniel Msiza, Dear Reader, Die Dobbelstene, Emille Swiegers, Gerben Grooten, Gideon Meintjes, Hannah Wildflower Foster, Howard Combrink, ISO, Jaco van der Merwe, John Lundun, Kahn Morbee, Kevin Davidson, Lindiwe Suttle, Louis van Rensburg, Mel Botes, Musa Mdluli, Nicholas McCreadie, Paul Hanmer, Peach van Pletzen, Riaan Le Roux, Sibusile Xaba, Tumi Molokane, Vuma Levin, Zaki Ibrahim and many more industry recognised musicians. Jaco has been writing lyrics and shouting-singing-screaming-spitting-rapping them at unsuspecting audiences since 1998. Amidst captaining Cricket teams, releasing illustrated prose poetry books, making Sci-Fi-Meta movies, curating alternative music collectives, hosting writing workshops, releasing spoken-word albums and working as a qualified language educator and film lecturer, Jaco also started writing Afrikaans rap rhymes in 2007. In 2009 he founded a band called Bittereinder with his friends Peach van Pletzen and Louis Minnaar. Bittereinder has been nominated for a bunch of awards, even winning a couple of them, most notably a SAMA for their debut album “’n Ware Verhaal” in 2011, and the SAMA for Best Alternative Album for “SKERM” in 2015. Jaco has performed and MC’d on stages at festivals, award shows, live TV broadcasts, theatres and music venues in the Netherlands, Germany, Poland, Namibia, Mozambique, Swaziland and all over South Africa. In 2014 Jaco began performing some of Bittereinder’s songs acoustically, and what began as a little side-project has become a formidable set of acoustic Afrikaans rap songs, sometimes accompanied by Marie-Louise Diedericks on the cello.